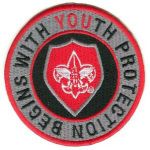 The Boy Scouts of America have released a fully updated Youth Protection Training to further strengthen our ability to protect youth. As of January 1, 2018, no council, regional, or national leader will be allowed to renew their registration if they are not current on their Youth Protection Training. As an advocate and champion for youth protection in Scouting movement, I encourage you to watch the video, become familiar with the resource documents, take the training and spread the word.